Beginner-friendly and quick to sew, the Agave skirt is the ideal canvas to treat yourself to some pretty fabric! To make this skirt, you’ll need a woven fabric in a light to medium-weight and with no stretch. 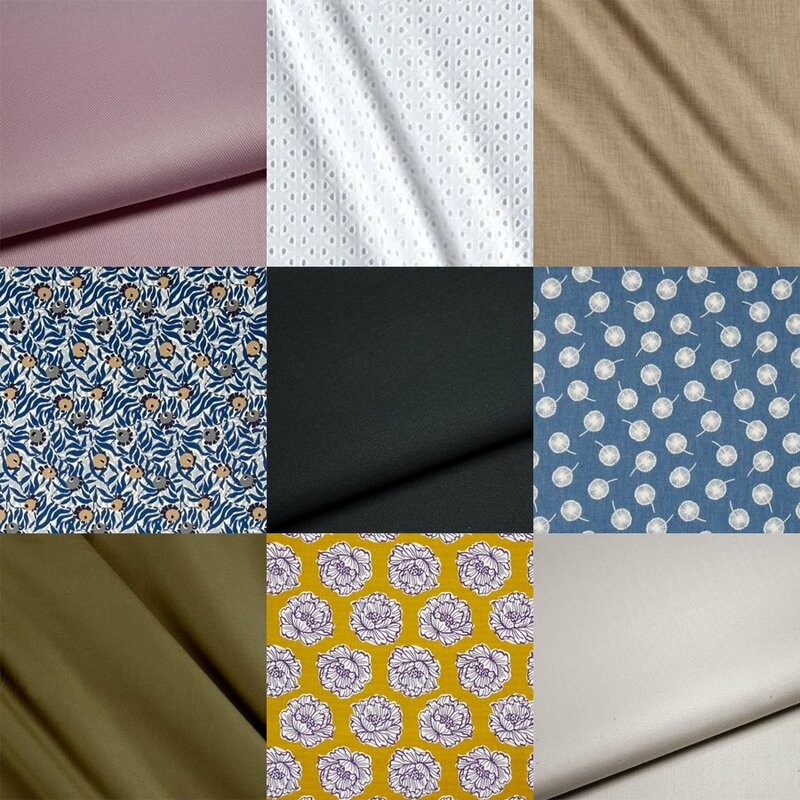 Once these constraints are satisfied, you’re free to express your creativity: solids, prints, textures… Choose a fabric with some body (cotton twill or sateen) to keep the A-line shape of the skirt, or go for something more fluid (linen or wool, even rayon) for a romantic drape. Version A of Agave is reversible: you can of course use the same fabric for both sides, but it’s an opportunity to have fun with matching or contrasting fabrics! For this version, lightweight fabrics are allowed, from 110 g/m² or 3.5oz. Cotton sateen, poplin, and chambray are our favorites, and will be great for beginners are they are very easy to sew with. You can also make this version in an eyelet or scratchy fabric, and use the second side as a lining! Version B of Agave is pared down and doesn’t have a lining. Therefore it requires a heavier fabric, at least 200 g/m² or 6oz. The fabric should also be wearable directly against the skin. A cotton twill, denim, or medium-weight linen would be great, as would corduroy or velveteen for a cold-weather version. For something edgier, we could even forget our “no stretch” rule to try vegan leather! If your fabric is too light, don’t forget that you can still interface the whole skirt: that’s what we did for our version in blue cotton sateen. 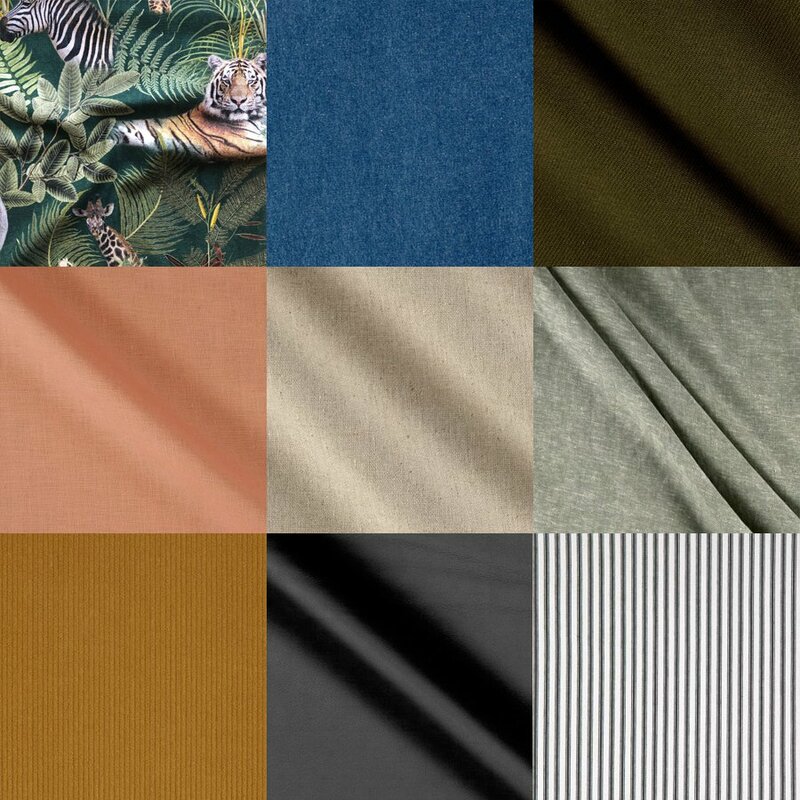 Have you already spotted your fabric for the Agave skirt?